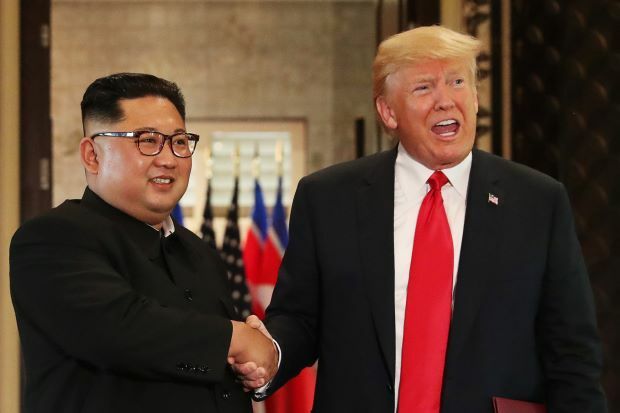 US President Trump says the third meeting with North Korea’s head Kim Jong Un is considered to be a humanitarian relief on sanctions against North Korea. Speaking to the media in the Oval Office, President Trump said that the meeting with South Korea President Moon Jae-in will discuss more meetings with the North Korean President. He said that there will also be a humanitarian request to provide some relief on the North Korean sanctions, He said North Korea’s head Kim Jong Un was very well known she is very respected and sure that there will be great work in the coming days. It is clear that before the US President Trumpp has held two meetings with the North Korean President.